Do your gums bleed when you brush? Are you a little worried? Bleeding from the gums is the body’s way of telling us that there is a problem with the gums. There might be food or plaque deposits, leaving bacteria to thrive in the affected area. The body starts an inflammatory process to bring more blood and bacteria fighting cells as it tries to naturally fight back. Inflamed gums can result in bleeding and tenderness or pain. Without attending to the signs and symptoms, this the bacteria can cause further permanent damage which can include bone loss of the jaws, and recession of the gums. This is called gum or periodontal disease. Just like other medical conditions such as early stages of high blood pressure or diabetes, majority of people don’t know they suffer from gum disease as it usually slow and painless. Good frequent daily oral hygiene can minimise the progression of the gum disease, but sometimes the body just needs an extra hand cleaning out areas you can’t feel or see. Just like regular servicing your car, regular visits to your dentist are important to maintain good oral health and minimise risk of gum disease. What is the Difference Between Gingivitis and Periodontal Disease? 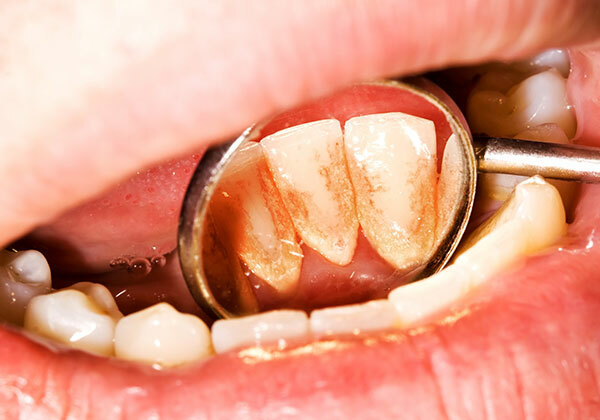 Gingivitis is an early stage of gum disease that occurs when gums become infected from the bacteria in plaque build-up. It is easily prevented with good oral hygiene, and can be treated without any serious or irreversible damage. Periodontal disease is a more serious stage of gum disease that results in irreversible damage. The bone that holds the teeth in place is infected and can eventually lead to tooth loss. Professional dental care is required to prevent further damage.